Save $16 on the Kraken KRL-02 52mm Wide Angle Lens! 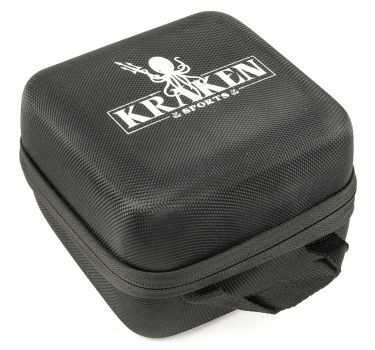 Save $16 on Kraken KRL-02 52mm Wide Angle Lens! Fits all 52mm threaded mount housings and cameras. 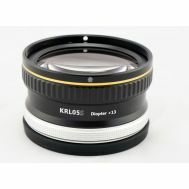 No vignetting on cameras with 24mm lenses. 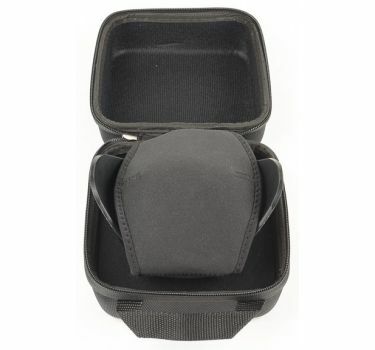 Perfect wide angle lens for the Olympus TG-5 and PT-058 Housing! 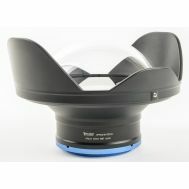 Gives the widest field of view of any lens available! 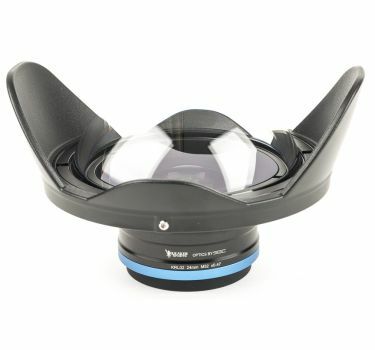 This is an excellent domed, fisheye wet lens that can be added to most camera housings. 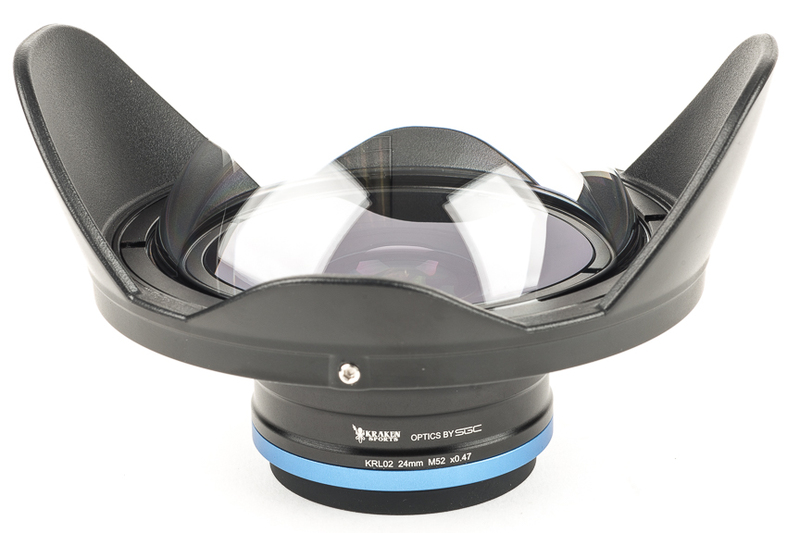 The Kraken KRL-02 fisheye conversion lens has a magnification ratio of 0.47. 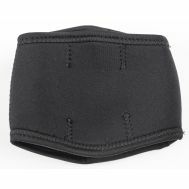 This will give up to 150 degrees field of view with a 24mm camera or 127 degrees with a 28mm lens (camera and housing dependent). 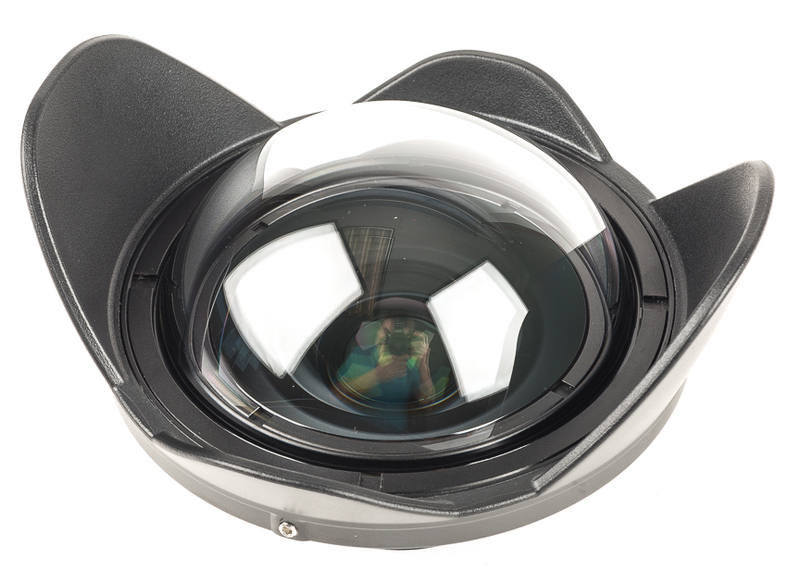 The KRL-02 has been designed for optimum performance with compact cameras with up to 24mm (35mm camera equivalent). 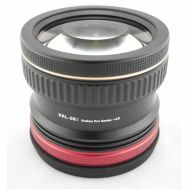 Vignetting may occur on some compact cameras, but can be eliminated by zooming in slightly. 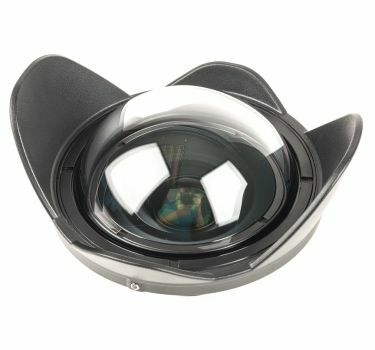 Dry, inert gas is injected into the lens during manufacture. 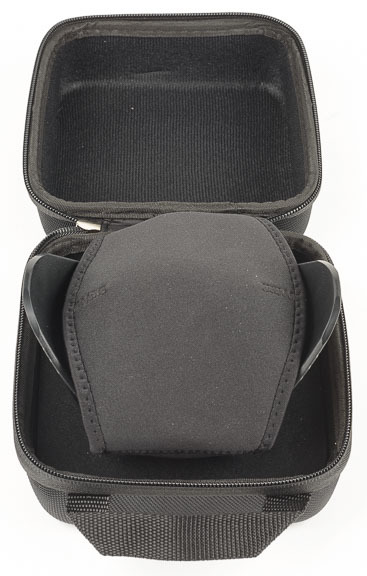 No humidity in the air space of the lens reduces any possibility of fogging to a minimum. 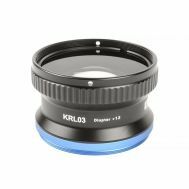 The KRL-02 has M52 thread and can be mounted directly on housings equipped with the M52 thread such as the Olympus, or used with adapters on others. Please order an F52 to M67 step down ring to use with ports that are 67mm threaded.